But first a little known fact… I lived in London with my family for a few years growing up. When I returned to the U.S. and started a new school in Connecticut all kids thought I was British because my accent was so strong! To this day I still get confused when to use grey vs gray and you will find the occasional British term mixed in with my “American English”. Although my time was too short in London, it left me with a special place in my heart (and vocabulary) for all things British, but especially tea time + the royal family. 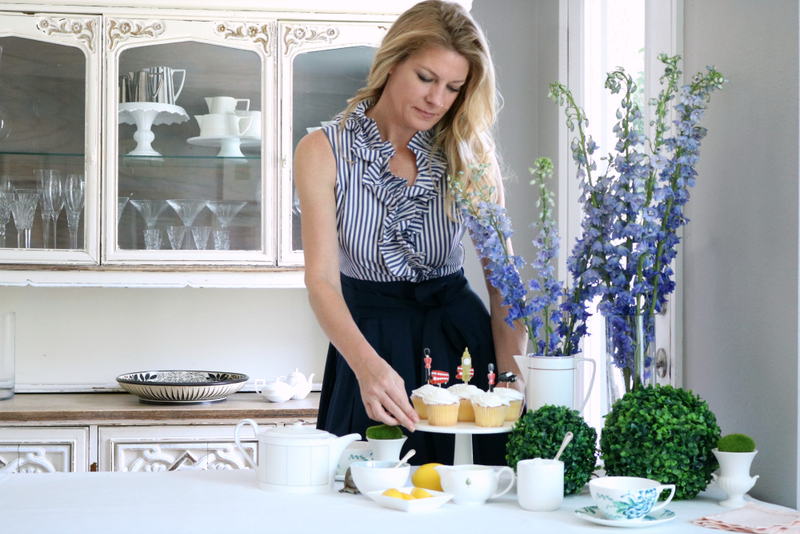 With that bit of knowledge you know I will be watching early Saturday morning and want to share my favorite tips on hosting a royal watch party in your own home! 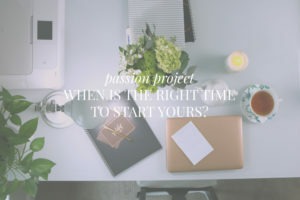 First you want to send out an invite – that can be either a digital invite if you are short on time, it could be a paper invite you really want to get fancy. It’s early Saturday so keep that in mind when you are talking dress code. Either plan a fancy “wear your favorite party dress” or go low key in PJ’s or themed onesies. 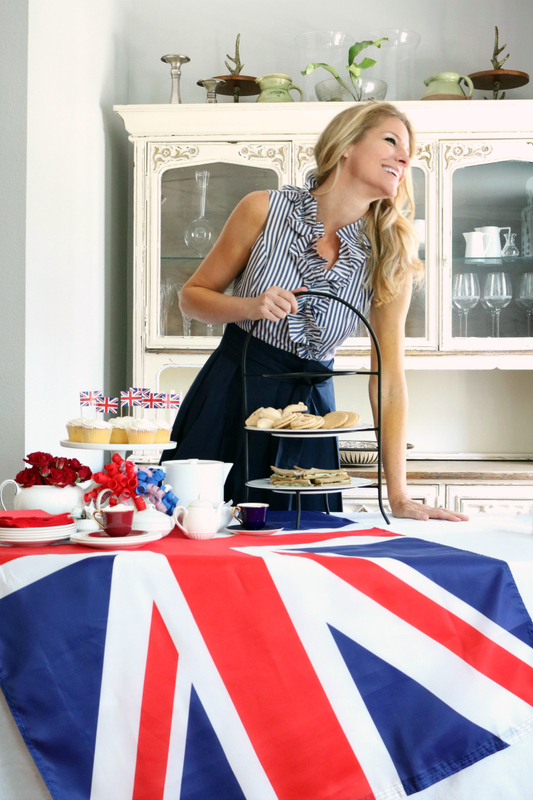 They way I see it you have two options for decor for your Royal Wedding Watch Party – a little bit more formal English garden party or a little bit more laid-back Union Jack’s style. 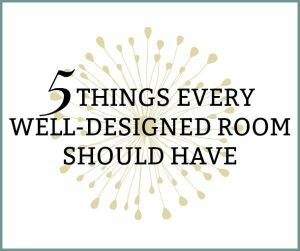 So you know your guests better. If you will have kids coming over, you will want to fine-tune what you serve and what you will serve it on. Think paper goods over breakable china. If it’s all your girlfriend’s coming over and maybe a couple select, guy friends you can go a little bit more formal garden party. 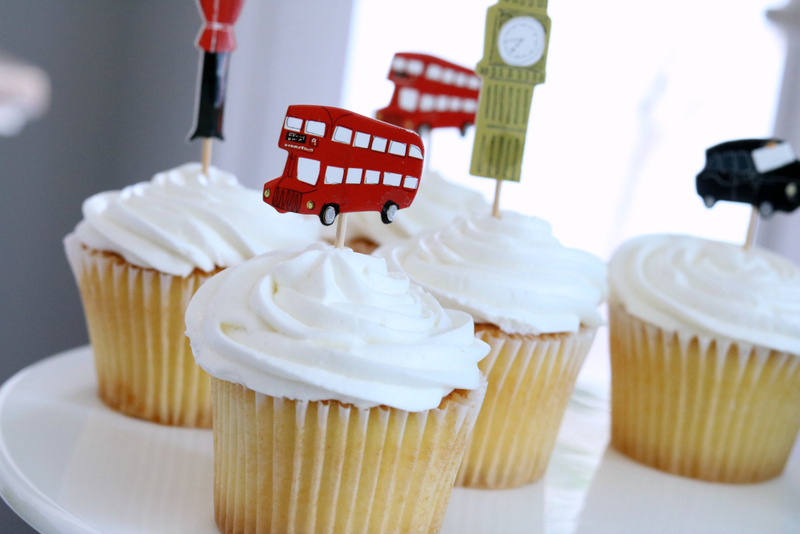 I found some of these super cute London themed cupcake picks and they come in all different styles. They have ones that even have Harry and Megan pictures on them. 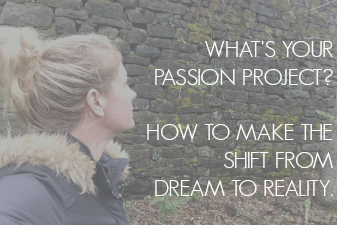 So if you really want to bring them to life, that’s the thing to do. Create a British Garden Inspired Tablescape using faux boxwoods which totally remind me of a British garden and a few really pretty flowers all available locally and super very easy to source in any area. 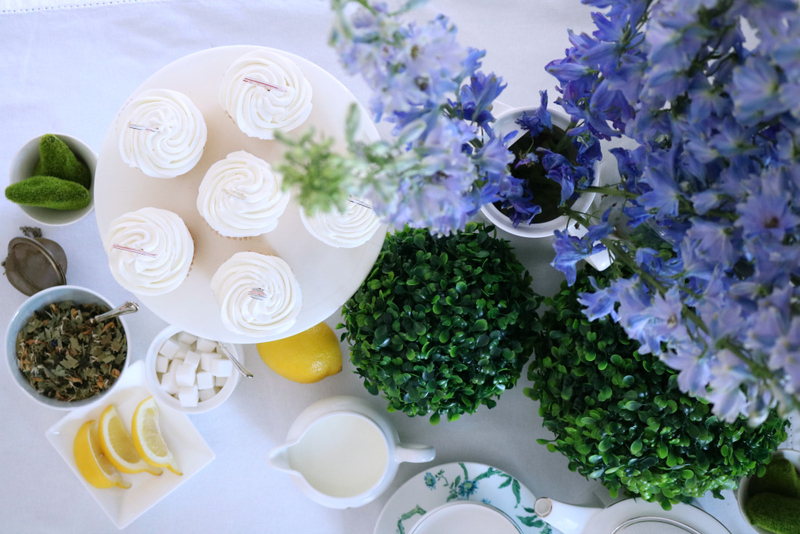 When it comes to your tablescape – Cake plates are always nice to add a little elevation to the table. Offer a variety of teas. You can do loose tea or on the formal side since it takes a little bit more effort and feels a little bit more upscale. 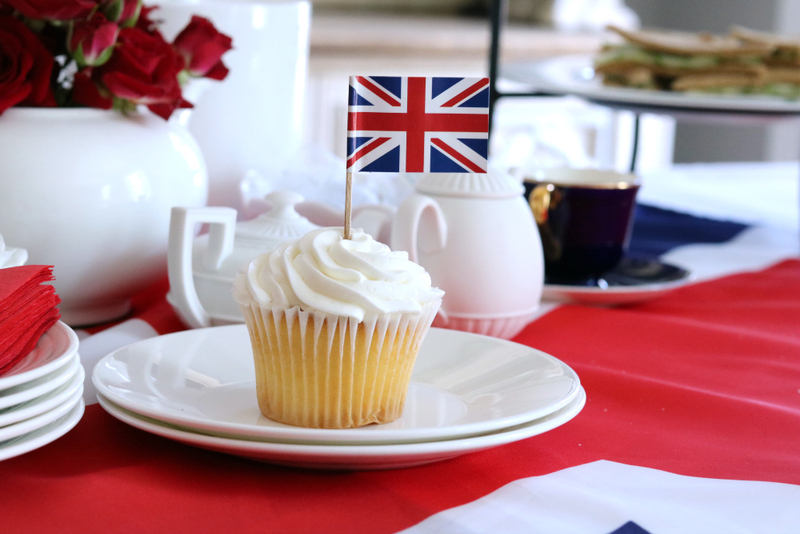 Loose tea comes in many different varieties, Harney & Sons are even making a royal wedding tea! Serve the tea with lemon wedges and sugar cubes. Bring out your teapots and your fine china. 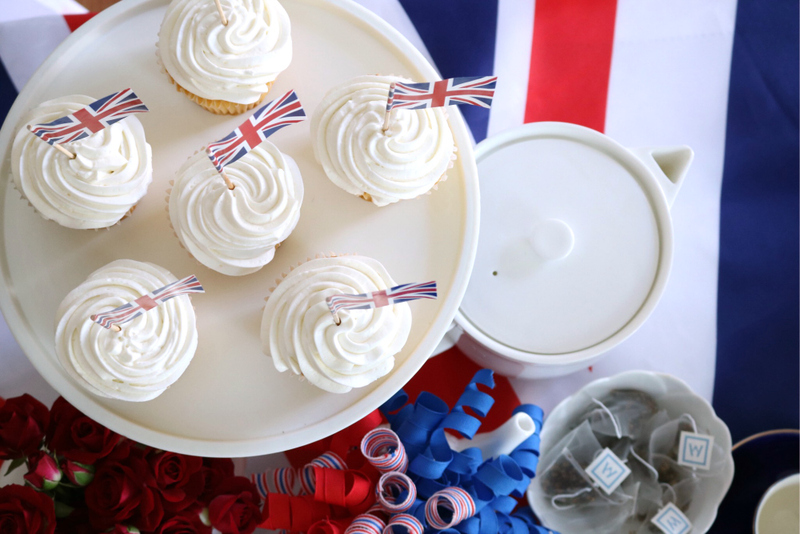 If English Garden isn’t your cup of tea… :) … go for a Union Jack inspired tablescape for your Royal Wedding Watch party decor. Bring out anything that’s Tea, London or Union Jack related. 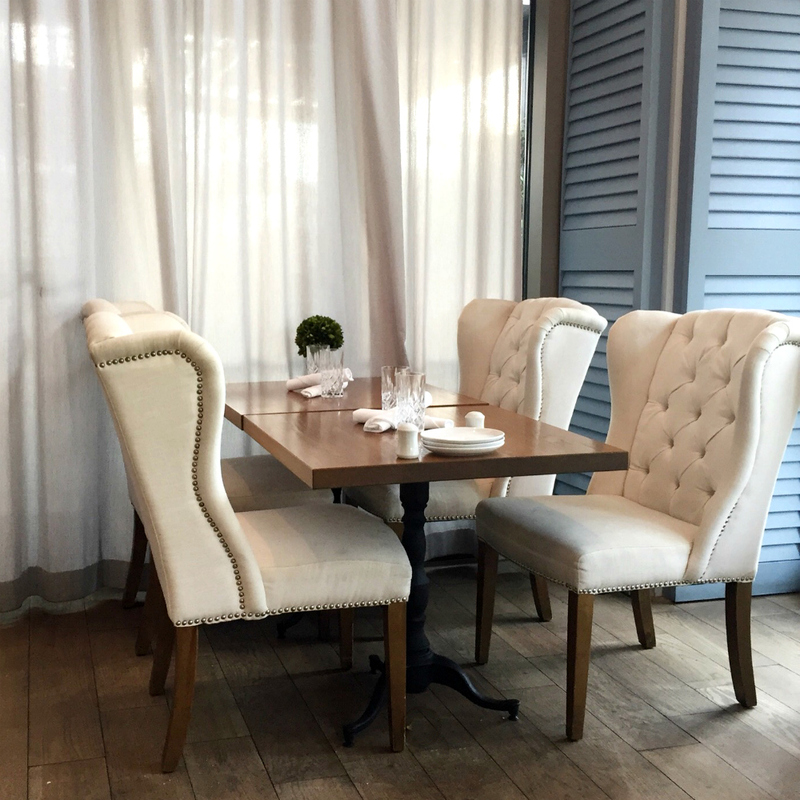 For the tablescape you can drape the table with a Union Jack flag or Union Jack Flag banners. Whip up smoked salmon with pumpernickel tea sandwiches and a few premade scones (you always want to offer sweet and savory on your tea set up) or cucumber sandwiches which are thin and real light so it’s keeping nourish but it’s you know kind of absorbing any kind of extra cocktails you might offer. Let’s not forget about the party hats. You have to have the fascinator, or if you are going a little bit more casual and everyone is wearing onesies Target has a few super cute headbands with crowns and flower crowns. Crumpets, very traditional with a little lemon curd from Trader Joes. Elderflower lemonade, you know Lemon Elderflower is going to be their wedding cake flavor right?! 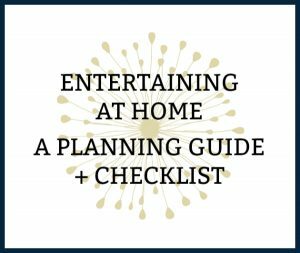 Great tips to have a terrific themed party! I, too, have a particular fondness for all things British since attending university there back in the dark ages. I am doing a “Picnic at Ascot” theme for an upcoming event in June. 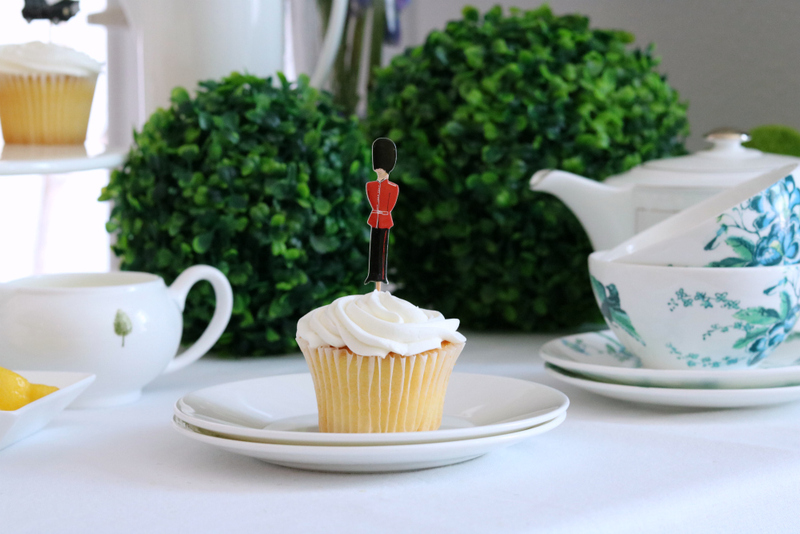 The cupcake toppers are adorable and I picked up a set in London last year. 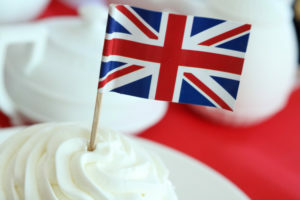 You may also want to offer real British foods such as pork pies, pasties, bangers & mash and of course, lots of British sweets. Try out your local import store or go online to Jolly Goods for sweets and Parker’s for the absolute best in British savories. Most of all, have fun! I already have my hat! Such great tips Marie!! You are pro when it comes to all things British!! Can’t wait to see pictures of your fun event!